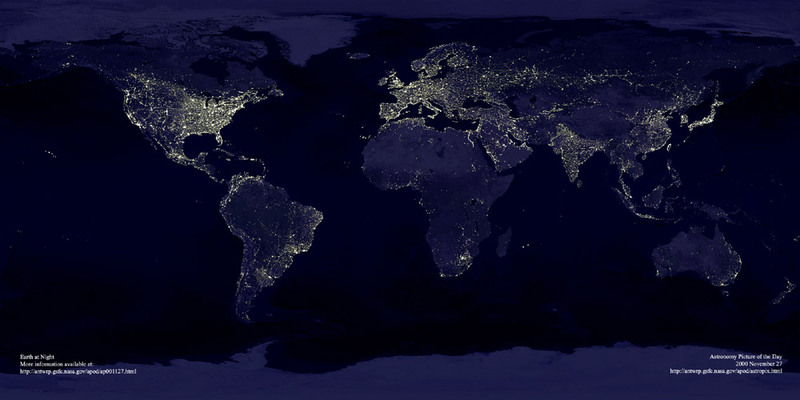 This photograph was taken by a NASA satellite over a 24 hour time span, so as to capture the view of earth at night from space in every time zone. It shows quite dramatically the global spread of industrialization, as evidenced by the lights of human civilization. Note the Nile River delta, the Siberian Express railway route, the Australian coastal cities, and Africa, literally "the dark continent".